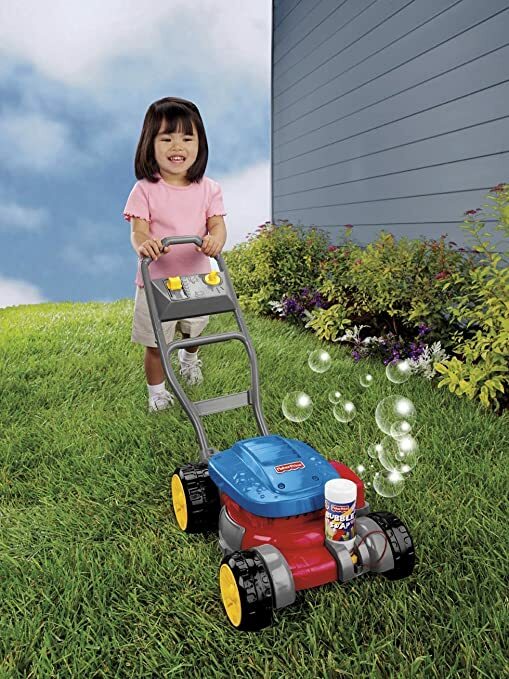 Toy R Us Fisher Price Bubble Toy Mowers Only $10 with XLT Red/Blue or Pink/White. Select in-store pick up to save on shipping. Keep the bubbles blowin' for a whole lotta mowin' with this Pink Bubble Mower from Fisher-Price®, a Toys "R" Us Exclusive! The all-new, one-touch refill system features a bigger bubble dispenser for less fill-ups and a one-press, no-mess refill. Just press it once and you're good to go for a yard full of bubble fun! Bubble solution is included. Toys R Us has Fisher-Price Bubble Mower XLT, 这个小孩子玩的可以吹泡泡的剪草机， 现在打折只要 $9.99 with free store pickup。 Also Amazon.com 也 match 了同样的price Fisher-Price Bubble Mower 也是$9.99. Little Tikes Gas 'N Go Mower toy r us 打折只要 $15 (reg. $25), Free Site-to-Store Shipping. 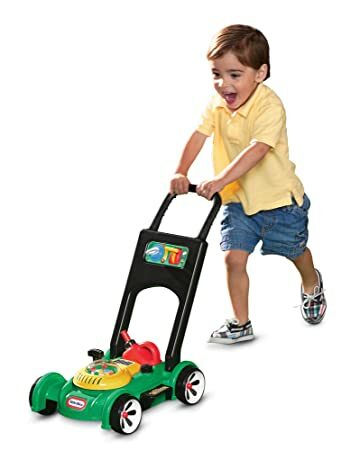 Amazon.com now you can buy this highly rated Little Tikes Gas ‘n Go Toy Mower for only $14.99 (regularly $24.99)! Get free shipping on a $25 order Or free 2-day shipping on ANY size order with Amazon Prime (you can sign up for a FREE 30-day trial).